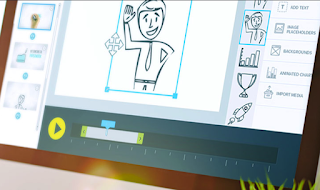 You probably have seen them before, whiteboard style animations are everywhere online. They are used by profit and non-profit entities to advertise, educate or to simply communicate effectively. 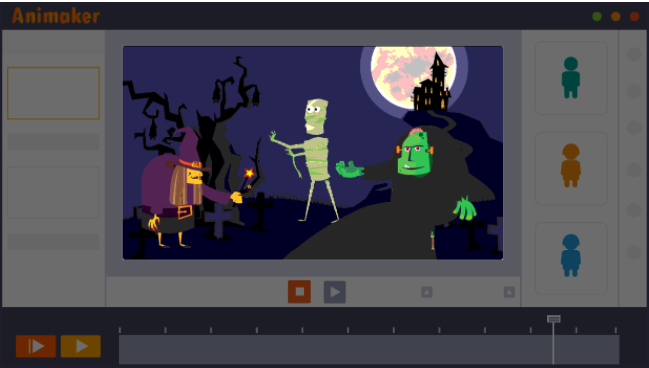 Two popular educational YouTube channels that use this animation style are TED Ed and RSA Animate. 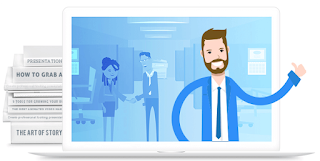 In short, whiteboard animation (also called video scribing or animated doodling) is a video clip in which the recorder records the process of drawing on a whiteboard while using audio comment. The final result is a beautiful synchronization of the drawings and the audio feedback. 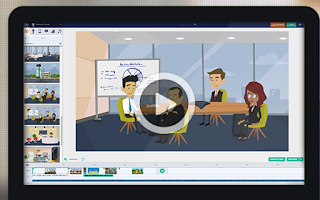 In education, whiteboard animation videos are used in language teaching/learning, in professional development sessions, to create educational tutorials and presentations and many more. In today’s post, we are sharing with you some good web tools you can use to create whiteboard animation videos. Check them out below and share with us your feedback in our Facebook page. Animaker is an excellent animation video maker that allows you to create engaging video content. As a teacher, you can use Animaker to create tutorials, explainer videos, video presentations, educational step by step guides or video infographics. The process is simple and easy and anyone can create beautiful animations without the need for advanced technology or coding skills. Animaker provides you with all the tools and materials you need to create your first professionally looking animated video. 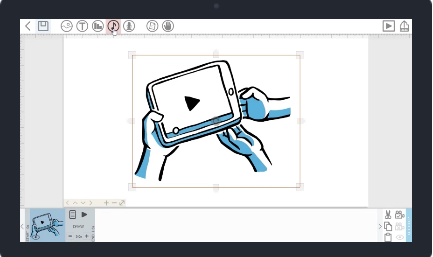 You simply drag and drop elements such as characters, backgrounds, visuals and many other pre-designed elements accessible through Animaker library. 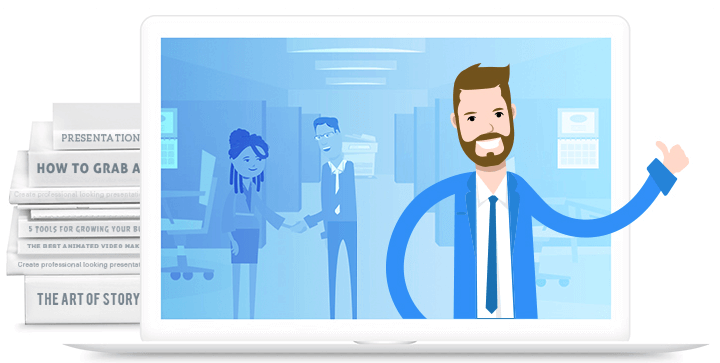 You can then edit your video, add pop up effects, hand craft animations, scene transitions and when your video is ready you can download, upload it to YouTube or share it with others through social media websites. The free version of Animaker is limited in terms of features provided, the pro version offers way more options.